1, 2 and 3 bedroom fully self contained apartments with kitchens. All have balconies overlooking the fabulous views of the Coffs Harbour Jetty Foreshore. Enjoy a relaxing breakfast from your balcony taking in the breathtaking views of the surrounds. Take a short stroll to the pristine beaches whilst stopping off for a coffee at one of the boutique cafe’s in the area. Stroll past the marina with fisherman bringing in the day’s catch. 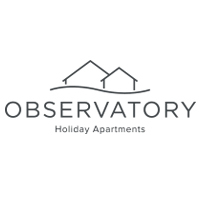 We look forward to welcoming you to The Observatory Holiday Apartments in the Heart of the Jetty. Should you have any questions, please contact us on 1300 302 776.